I got this yarn from yarn4socks, but I just didn’t like the pattern that came with it. The cuff had beads in it that I didn’t bother with. I’m a knitter, not a beader. 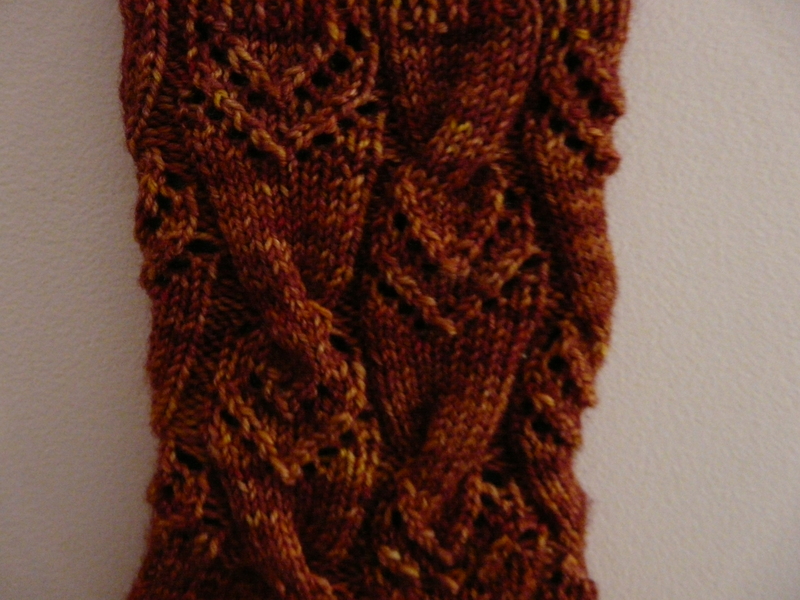 The pattern had a lot of little cables. When the kit came, I assumed that the picture was very good since I could hardly see the cables. After many hours of knitting and accomplishing only two inches of pattern, I took a hard look at my room. And, you know what? I still could hardly see those damned cables! So, naturally, I did what any red-blooded knitter would do. I ripped it all out and went looking for a better pattern. And the rest is history. Socks that I can truly be proud of! Thank you, Stephanie van der Linden. I love your book, too. 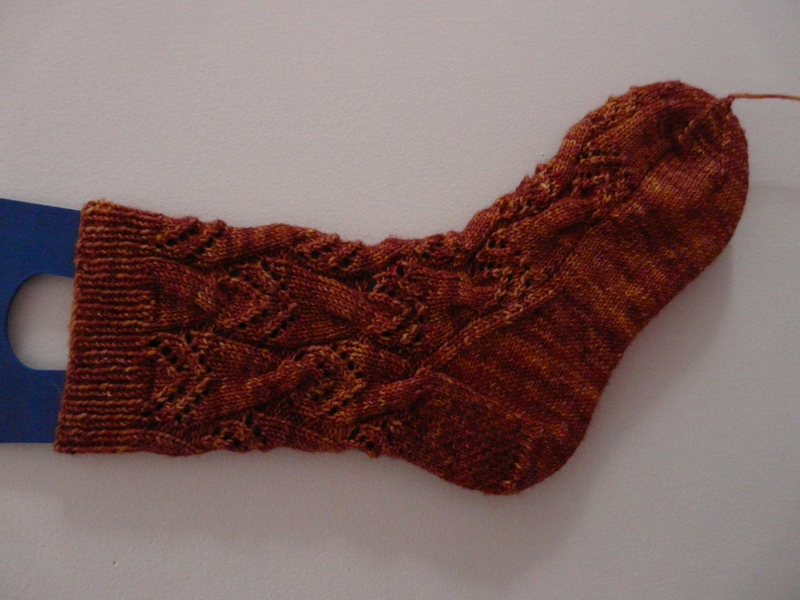 This entry was posted on February 9, 2011 at 4:59 pm and is filed under Knitting. You can follow any responses to this entry through the RSS 2.0 feed. Both comments and pings are currently closed.